Japan’s inflation emerged from negative rates in September 2016, and is now comfortably above 1% (1.4% headline). 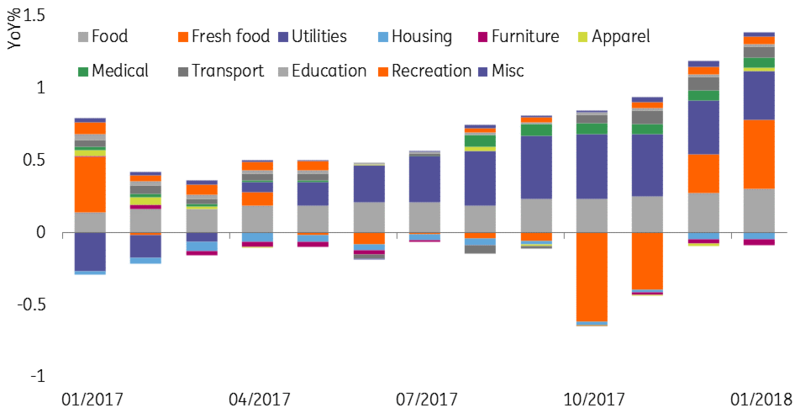 With a 2ppt consumption tax due in April 2019, the next 18-months to two years offers to be one of unexpectedly robust inflation for Japan. So is it time for the Bank of Japan (BOJ) to ditch their Qualitative and Quantitative easing (QQE)? The answer to this partly depends on why inflation is rising and what else is happening in the economy. On the former, there are two main factors to consider. The first is food. Normally we would exclude this, as volatile fresh food prices can dominate the headline index. But non-fresh food has also risen, and that is harder to just write off. What appears to be going on is a combination of fish, and gas. The Seafood component of Japan’s CPI is large and highly diverse. But within this, there have been some substantial price spikes for fish such as tuna, bonito and saury, A spillover of the rise in the prices of fresh fish is that products such as dried fish, squid or salted fish-guts (yes, there is a category for this) have pushed substantially higher. And as the key ingredient for sushi and sashimi, prices of Japan’s iconic prepared dishes have been soaring. The root cause of these price spikes is essentially supply. Fish catches have been very disappointing. For some fish, catches are less than half of last year's, which were also historically low. This looks like an overfishing issue, with fish stocks collapsing. Consequently, the collapse in supply is unlikely to reverse quickly and may require years of fishing restraint to help rebuild stocks. This too will keep prices high, or perhaps lead to further rises. The other main cause of inflation is gas. After the Fukushima earthquake and destruction of Japan’s nuclear power generation, Japan became heavily reliant on LNG imports. 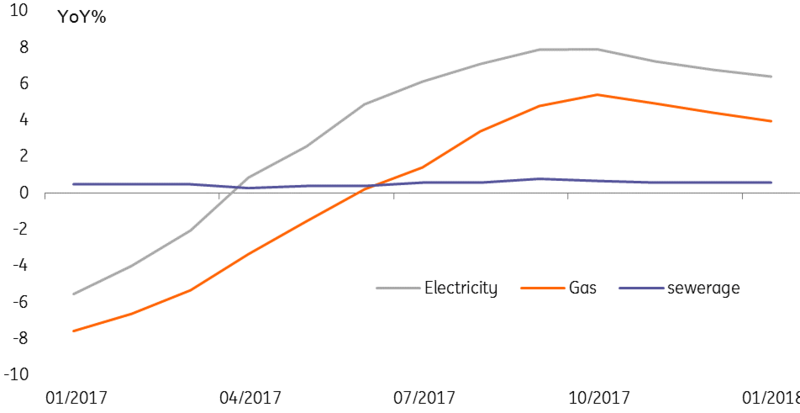 Wholesale gas prices for purchase in Japan are not particularly high, but they have bounced off their lows of 2016/17 as LNG is also a popular fuel for other countries these days, as cleaner sources of power are sought against a backdrop of relatively inelastic supply. This is pushing up prices of retail gas, but other fuels such as electricity. Both of these issues are essentially “supply shocks”, arising from (1) a lack of fish and (2) a lack of global LNG relative to demand, and not necessarily something the BoJ would respond to. But the growth data is also good, and the arguments for keeping QQE unchanged are looking thinly stretched. This week, the BoJ cut the amounts of super-long dated bonds it usually buys, and we are beginning to wonder if, in the global backdrop of rising rates and bond yields, the BoJ is wondering how it can create an exit strategy that will not result in a USDJPY rate smashing through 100. The days when you could just forecast zero for everything forever in Japan seem to have passed. We haven’t raised our forecast for JGB yields, though we have trimmed our “actual” asset purchasing by the BoJ from JPY45tr in 2018 to JPY30tr (official target is still JPY80tr annually). Nevertheless, this is something we shall be thinking hard about over the coming months. The days when you could just forecast zero for everything forever in Japan seem to have passed.